The Hermann Wine Trail in Missouri hosted their first event of 2013 this past weekend. “Chocolate Wine Trail” sold out, as it does every year, with 1,200 wine and chocolate lovers participating. The event cost was $30 per person and each winery differentiated itself with a different wine and chocolate pairing. 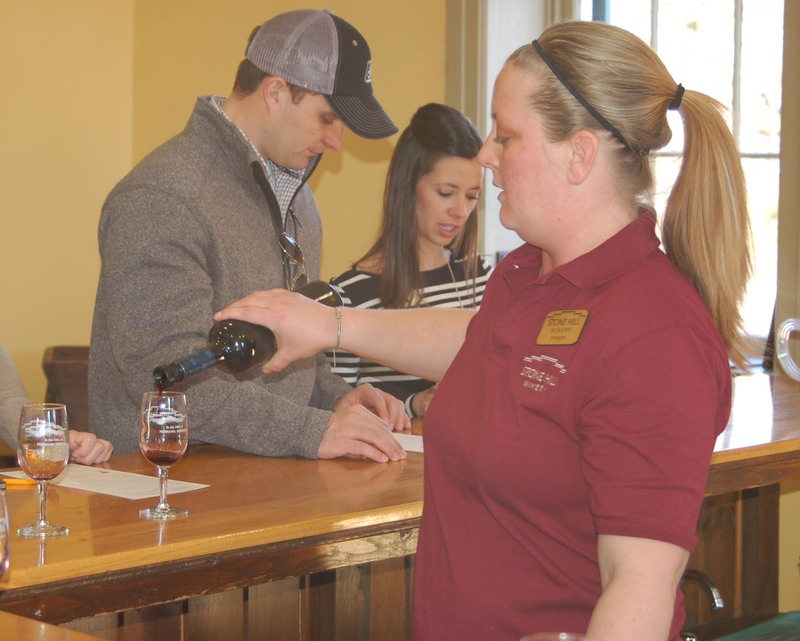 Stone Hill Winery offered its customers two types of wine tastings. The first included a tour that ended with a tasting of ten wines at a cost of $2.50. The second option was a smaller walk-in tasting which was free. Stone Hill served white chocolate popcorn with a raspberry drip and brute rosé champagne. Glenn Brethorst of Stone Hill said the white chocolate was intended to be a lighter option compared to chocolates at other wineries. A Stone Hill Winery employee pours wine during a tasting that came with a $2.50 wine cellar tour. Carol Warnebold, who owns OakGlenn Vineyards and Winery with her husband Glenn, decided to offer chocolate in a different way. Rather than serving sweet chocolate, she served Cincinnati chili, which contains cocoa powder, with a choice of Chardonel or OG Naughti. The OG Naughti is a sweet rosé that has a hint of raspberry. Carol added Hershey’s syrup to the wine for the event. She also decorated the winery with hearts and served red fortune cookies. ‘I focused on the love theme,” she said. Adam Puchta Winery took advantage of the sold-out event to unveil their new wine, Cat’s Meow. According to winery owner Tim Puchta, Cat’s Meow was a name chosen as the result of a 2012 ‘name that wine contest’ and is Puchta’s first semi-sweet red wine. The idea to try a new wine came from customers who were requesting “something not too dry or too sweet, Puchta said. Puchta served Cat’s Meow with chocolate peanut butter cupcakes from The Cup in St. Louis. OakGlenn customers enjoy Cinncinatti chili with their wine. 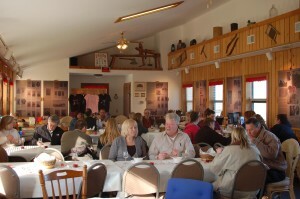 From the Hermann Wine Trail event, it was apparent that customers are seeking new and different wines. For tasting room professionals, winery owners and winemakers, large events are a great way to gather feedback on new wines. Great article! 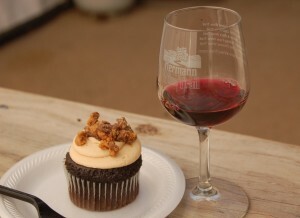 Thanks for visiting the Hermann Wine Trail for our Chocolate event. It was a very successful weekend for the wineries.